WASHINGTON, D.C. – U.S. 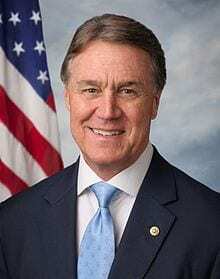 Senator David Perdue (R-GA) spoke with Brian Kilmeade on Fox News’ Fox & Friends about yesterday’s bipartisan meeting at the White House to fix the legal immigration system. « Previous Article Short Takes - What Has Hollywood Done Now? WASHINGTON—Rep. Doug Collins (R-Ga.) joined Fox News today to unpack the latest developments surrounding the Russia investigation and the revelation that Secretary Clinton’s Deputy Chief of Staff, Huma Abedin, shared classified information over a private email account. WASHINGTON—Rep. Doug Collins (R-Ga.) joined Fox News today to address questions as the House voted in favor of the Tax Cuts and Jobs Act’s final passage. WASHINGTON—Rep. Doug Collins (R-Ga.), Vice Chair of the House Republican Conference and member of the House Judiciary Committee, joined Fox News today to discuss the House Judiciary Committee’s oversight hearing with Deputy Attorney General Rod Rosenstein. He also spoke with Fox Business about the status of conservative tax reform and potential for infrastructure development in 2018. “We’re on the . . . very verge of getting exactly what we’ve told the American people we’re going to do and what the president said—by the end of this year, by Christmas actually, we’re going to pass a tax reform package that begins the process of doing what I’ve said before. We’ve got the best workers in the world, we’ve got the best ideas in the world, we’ve got an energy independence—we’ve got the worst tax system.